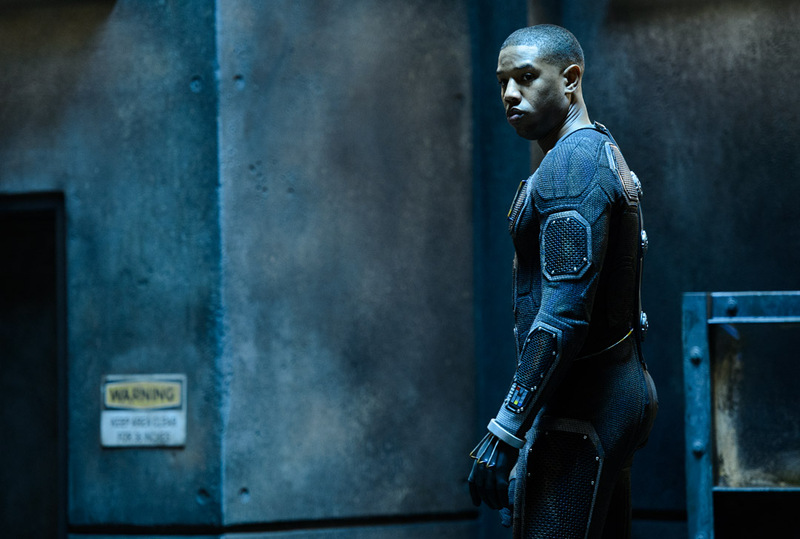 Acclaimed young actor Michael B. Jordan is set to blaze the superhero genre anew in this year’s highly anticipated latest “Fantastic Four” movie. Starring alongside equally talented young actors Miles Teller, Kate Mara and Jamie Bell, Jordan plays Johnny Storm aka the Human Torch wherein he undergoes physical changes after mankind’s first journey to an alternative universe. Johnny’s transformation leaves him an unparalleled power - covered in fire and never burns, combust the air around him, shoot fireballs and can propel himself through the air on jets of flame. Jordan earned critical acclaim for his starring role as Oscar Grant in “Fruitvale Station” which debuted at the 2013 Sundance Film Festival and won both the Grand Jury Prize and the Audience Award for U.S. dramatic film. The film was also screened in the Un Certain Regard section of the Cannes Film Festival where it won the award for Best First Film. After appearing in both “The Sopranos” and “The Wire,” Michael B. Jordan rose to prominence with his role in the NBC drama “Friday Night Lights” and continued to take a recurring role in the show “Parenthood.” Jordan’s diverse television career also includes appearances in “CSI,” “Without A Trace,” “Cold Case,” “Burn Notice,” “Bones,” “Law & Order: Criminal Intent” and “House.” His feature film career began with 2001’s “Hardball,” which starred Keanu Reeves. In 2012 Jordan appeared in the George Lucas-produced movie “Red Tails” and in the Josh Trank-directed phenomenon “Chronicle,” a tale of three teenage boys who develop superpowers. Continuously rising to be one of Hollywood’s lead young acts, Jordan will soon be seen in the movie “Creed” where he plays the titular role. 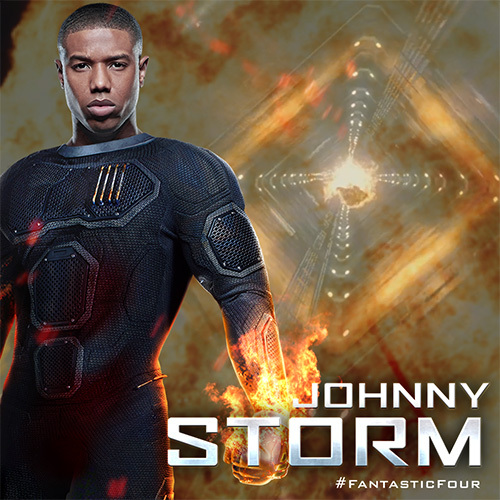 A huge fan of “Fantastic Four,” Jordan has excitedly slipped in to his role as the charismatic Johnny Storm, “I grew up loving comic books so I was a big fan. And so it’s great to get to play a character like this. It’s a big deal to me,” enthused Jordan. 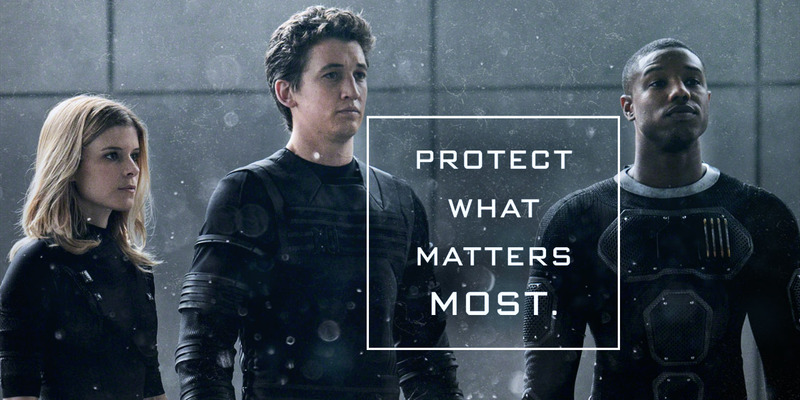 The new “Fantastic Four” sets an origin story wherein the four meet each other for the first time. With Ben Grimm aka The Thing (Bell) and Reed Richards aka Mr. Fantastic (Teller) being best friends and Johnny (Jordan) and Sue (Mara) as siblings, the four eventually become superheroes over the course of the film. “It’s the Fantastic Four! It’s fun. These are characters you may be familiar with, but you’re seeing them in a new, fresh way. It’s a different take. I think the film is grounded in real emotions - you get to know these characters and hopefully care about them. They’e learning about themselves at the same time. It’s a superhero movie, but a grounded superhero movie. It’s exciting. It’s an action packed drama,” Jordan shares on what audience can expect from the movie. Groundbreaking story, action and special effects unfold when the latest “Fantastic Four” (3D) movie opens August 5 nationwide in Philippine cinemas from 20th Century Fox to be distributed by Warner Bros. Like 20th Century Fox (Philippines) on Facebook for more updates.